What Happens When You Wash Your Face With Distilled Water? What happens when you wash your face with distilled water? One Reddit user tried it out for a week and the results are truly astonishing. Here, she walks us through her experience. Sometimes Reddit is just really there for you. 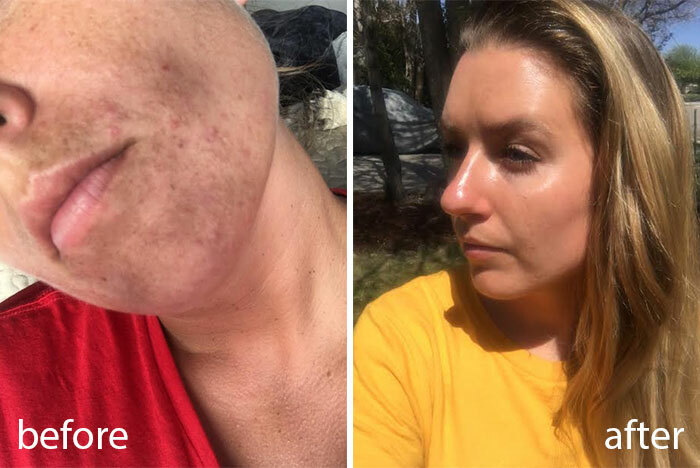 Aside from having a strong community of skin care enthusiasts always open to share the best products recommendations, Reddit is also a place where people share some jaw-dropping skin transformations. And one transformation in particular sparked our interest. Meet Christine. Her skin story is different because her skin improvement wasn’t due to trendy product or a new DIY creation. In fact, Christina was using Korean beauty and she was still suffering from acne. The change in her skin was all due to the kind of water she washed her face with. 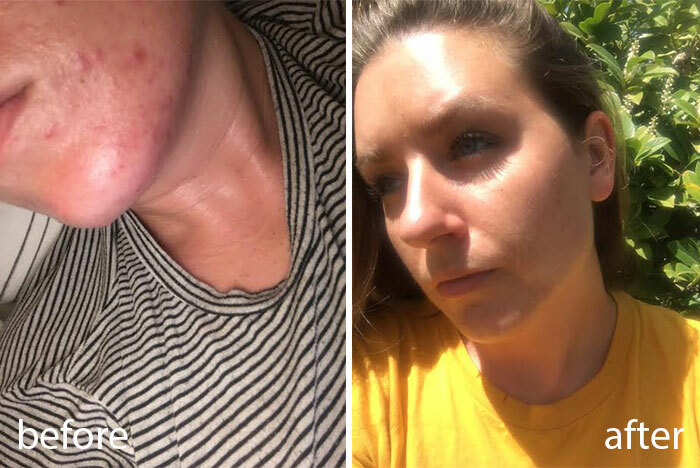 Yup, Christine was dealing with adult acne and decided to start washing her face exclusively with distilled water instead of the tap water in her home state of Utah (a state known for “hard water,” which has a high pH). We’ve known that washing your face with water that has a high pH is not the best. “Calcium is a mineral often found in hard water that’s particularly damaging to skin, and has been known to worsen conditions such as eczema, acne, or rosacea,” Jeremy Fenton, a dermatologist in New York City once told us. 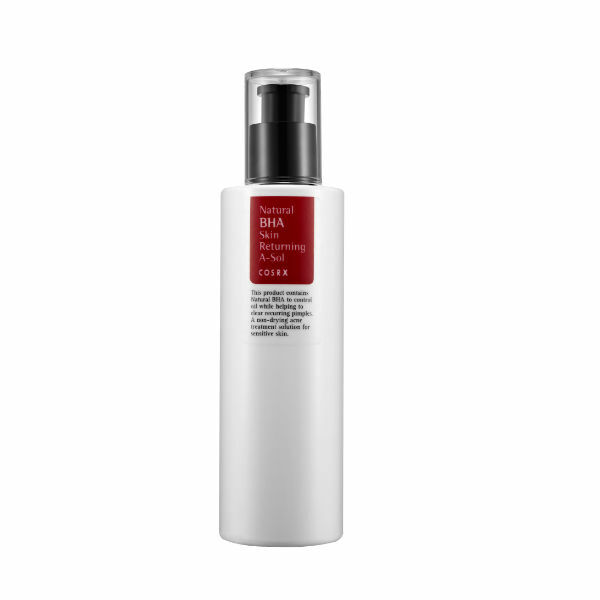 “The heavy metals in some water—like iron, copper, lead, and zinc—may further interact with natural skin oils and cosmetic moisturizers to clog pores and lead to breakouts.” States in the US with the hardest water? Texas, New Mexico, Kansas, Arizona, and southern California. So, Christine’s location of Utah fits in with this demographic. So yes, Christine is onto something. See below for her entire story. The before and after photos speak for themselves. Distilled water is water that has had contaminants and minerals removed. According to Christine’s research, distilled water also is free of impurities, including dissolved salts and colloidal particles. “It’s the same water that is used as the basis in cosmetics commonly referred to as ‘aqua,’ the water that is used during surgery and for other medicinal purpose, and the liquid that you put in your radiator to avoid corrosion,” writes Christine. She also doesn’t have the best diet. “I am 28-years-old, I don’t drink alcohol or smoke, I get between seven to nine hours of sleep every night, and I drink a gallon of water every day,” she writes. “However, I don’t eat well. For instance, I ate pizza for breakfast today, a bag of hot Cheetos, a salad, some fruit, and then a cheeseburger from McDonalds.” The skin issues she was dealing with was acne, dehydration, and sensitivity. But she does use Korean skin care! She swears by the COSRX Low pH Good Morning Gel Cleanser, the COSRX Natural BHA Skin Returning A-Sol, and the COSRX AHA Whitehead Power Liquid. Since she didn’t want to keep dumping a gallon of water on her face, Christine got creative and purchased a spray bottle to continue washing her face with. Christine also noticed that her texture was improving. “They weren’t pimples, but there were hundreds of microscopic little bumps all over my cheeks.” They started to disappear. Did you change anything in your routine other than using distilled water? I changed nothing except the water. I was actually using a Korean skin care routine for two to three months. I was seeing great results, but there was still quite a bit of acne and irritation. How much did switching to distilled water cost? A gallon of distilled water costs $.82 in Utah and $1 in California. I used two gallons in a week, washing my face twice a day, including double cleansing at night. It should cost me around $8 a month. Also, a few months ago I had a $150 filter for my shower head and it was great for my skin and hair, but I still had a few breakouts and my skin was still irritated and red. Why do you think distilled water worked to heal your skin? I believe it had something to do with the pH of my tap water and all of the impurities in it. The tap water in southern California and Utah is incredibly hard, with a shockingly high pH. 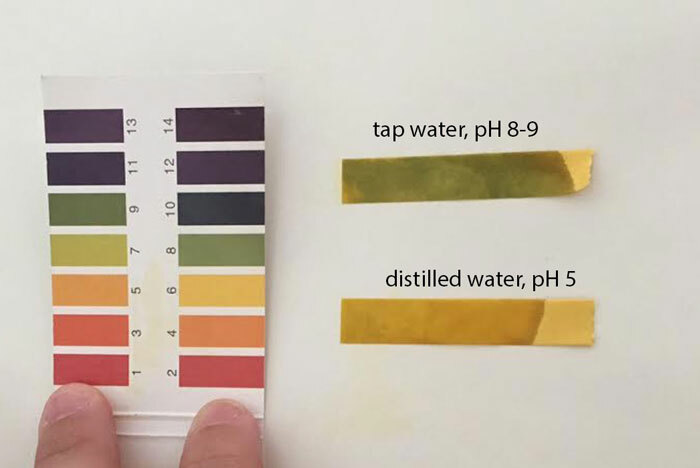 I tested the pH of the water from my tap here in Utah and it was between a 8-9. I also tested the pH of my distilled water and it was between 5-6. The distilled water also makes my skin feel very hydrated right after washing, while my tap water made my skin feel somewhat dry and tight. I end up using less moisturizer because my skin is so hydrated from the distilled water. Are you going to continue using only distilled water? Absolutely! This is my holy grail! What are your best tips for people who also want to try this new method of cleansing? First and foremost, I don’t let tap water touch my face, at all. I also don’t dry my face with a towel after I’m done washing it. I let my skin air dry. Don’t get discouraged if you don’t see results in seven days, I’m at three weeks right now and my skin just keep getting better and better. I also believe that the distilled water makes my acids more effective. Before the distilled water experiment I could hardly see the positive effects of my AHA and BHA. Now I see results from my acids within hours. The system I use to wash my face seems complicated, but if anything, its pretty simple. I have an old rubbing alcohol bottle (that I cleaned out) that has a cap that produces a continuous stream of water when you squeeze the bottle. 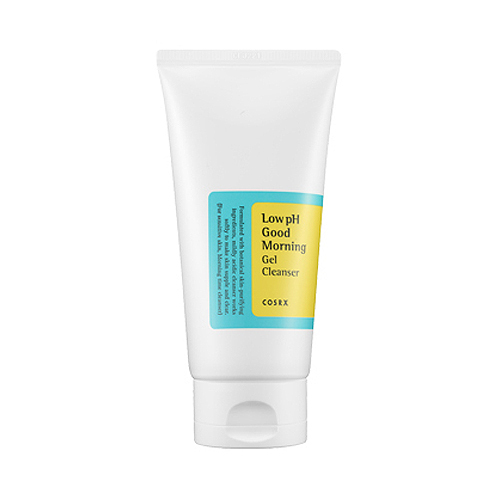 I wash my face in the shower (old habits die hard), meaning, I squeeze the distilled water all over my face, then I suds up using my COSRX Gel Cleanser, then I squeeze more water on my face to get the bubbles going, rub my face a bit more, and then I rinse my face by continuously squeezing water all over my face and rubbing it with my hands to get all the soap off. I never let the shower water touch my hands or face while doing this. Then at the end, I rinse off my hands with the shower water. It sounds like nightmare, but honestly, its not bad at all. It takes me maybe a minute or less. By doing this in the shower, the water doesn’t get everywhere. Christine agrees with this assertion. 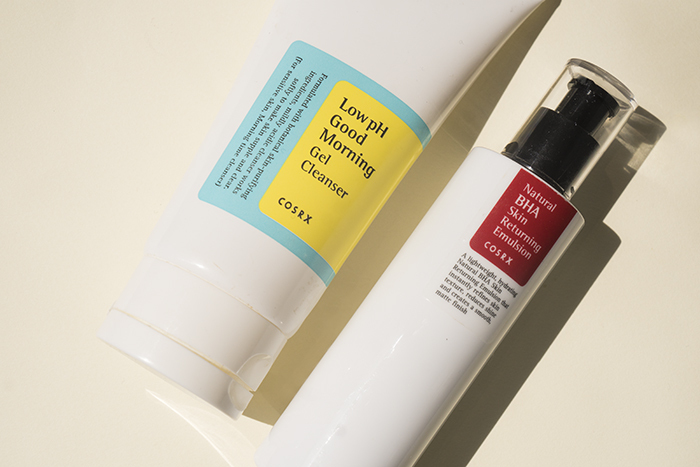 “I want to note that hydration is everything for my acne-prone skin,” she says. 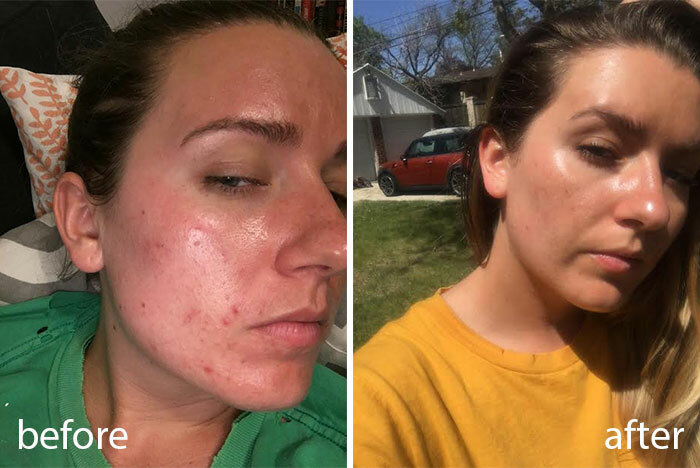 “I don’t want to knock benzoyl peroxide or other conventional acne treatments, but I don’t think this experiment would have been as effective if I wasn’t using Korean skin care! + If you decide to wash your face with distilled water, let us know! Share your story in the comments below! Does The Type of Water You Wash Your Face With Matter?